When performed vigorously, Rebounding is right up there with jumping rope which has been cited as the Champion of calorie burning exercises- only without the heavy impact. 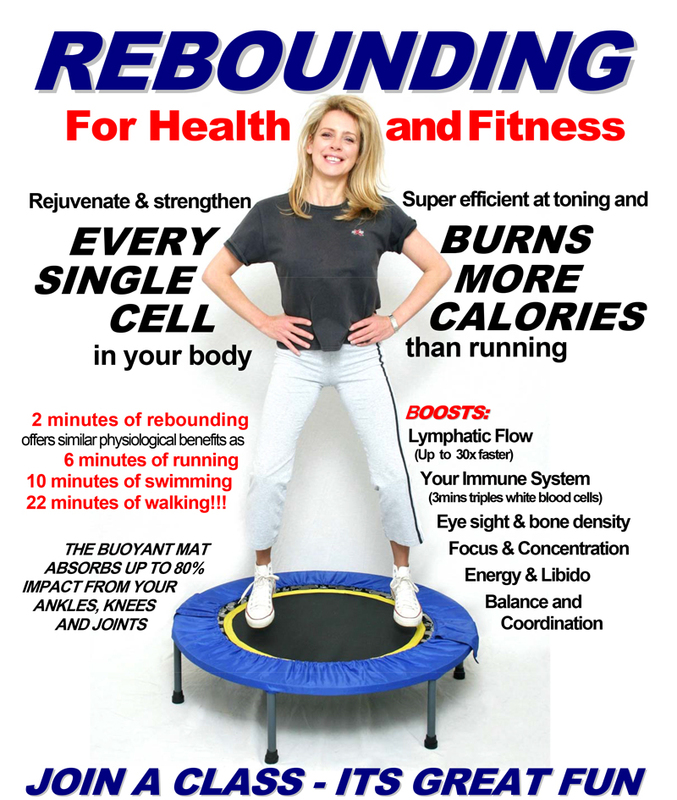 Rebounding is not only one of the most fun and enjoyable ways to get fit, lose weight and tone up, it is also a highly effective booster for your lymphatic and immune systems – tangibly improving your energy levels, zest for life and overall health. Bouncing even just for 3 minutes, flushes the entire lymphatic system (a bit like having 10 masseurs available whenever you need a lymph drainage massage)- and triples your bodies white blood count!!! It has been endorsed by the cancer association of South Africa. 4 Ever Young instructors have all been certified by Rebound S.A and have the experience,competence and passion to ensure that every rebound exercise session is great fun and highly effective. Our instructors are all fully certified by Rebound S.A and prepare fun and varied routines incorporating the rebounder in interval training, boot camp routines, weight training etc. Rebound exercise, like any exercise, has certain safety requirements, side effects and contraindications which are usually discussed and the appropriate adjustments made for you before your first session. Routines can be adapted to accommodate for the elderly, children and even the handicapped can benefit from “buddy bouncing”. Support bars are also available to provide more stability for those clients who require them. For more information visit www.reboundsa.co.za.